Williams’ last grand slam singles triumph was her 2008 Wimbledon crown. Venus announces that she has changed her diet following the diagnosis of the autoimmune disease that resulted in her withdrawal from her second-round match at the U.S. Open this year’s. 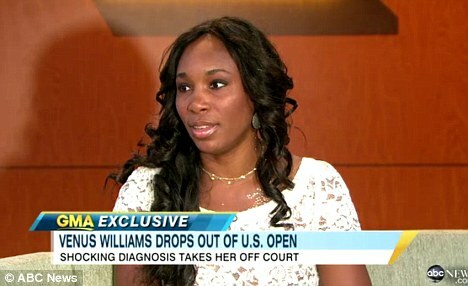 Williams told America’s ABC television that after her warm-up on the day of the match she was struggling to lift her arms over her head, although she had been well enough to win her first-round match in straight sets. cells attack moisture-producing glands and can cause dysfunction of organs and body systems.